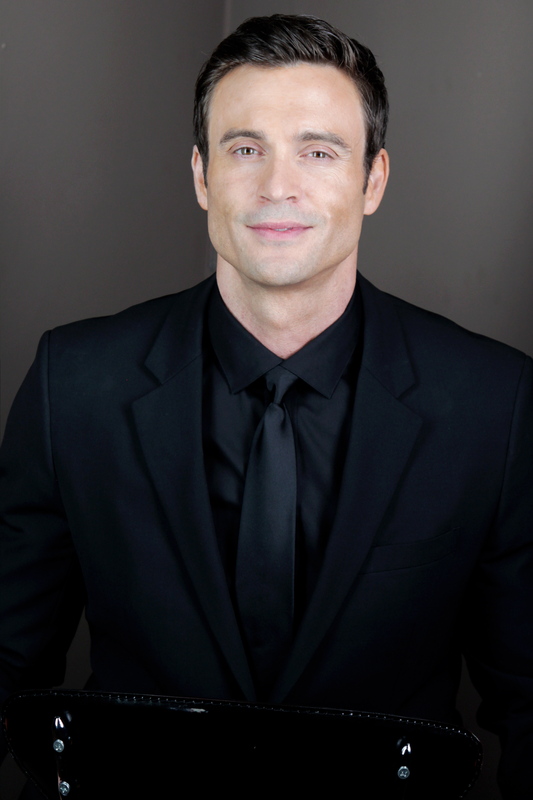 Australian native Daniel Goddard initially majored in finance while attending the University of Sydney, but caught the acting bug in college. He transferred to Sydney’s Ensemble Actors Studio, and after graduating from there, landed a role on the Aussie soap HOME AND AWAY, where he appeared from 1994-95. In 1997, Goddard moved to Los Angeles, CA. Over the next few years, he auditioned, took on jobs such as working in construction and in a restaurant, and modeled for Calvin Klein and Dolce & Gabbana. Then in 1999, he landed the starring role as Dar in BEASTMASTER, which filmed in his native Oz. The actor appeared on the syndicated action show for the next three years, where he got to work with a variety of animals, including snakes and large cats. Meanwhile, in 2002, he wed his wife, Rachel, who worked in public relations. Once BEASTMASTER ended, he appeared on the prime-time series (MONK, WILD CARD) and films (Immortally Yours). In 2007, Goddard landed the role of Cane on Y&R. It was soon revealed that Cane was Jill’s biological son, who’d been switched at birth (by Kay) with a baby who Jill raised and thought was Phillip Chancellor III. Goddard plunged right into the storyline and held his own against vets Jess Walton (Jill) and Jeanne Cooper (Kay), proving that he was more than just a heartthrob. However, in 2009, the character was exposed as an imposter, when the real Phillip III returned from the dead and explained he’d sent Cane to Genoa City to help heal his broken family. It’s left Cane fighting to make amends with the people he’s come to love and pick up the pieces of his shattered life. Fortunately, Goddard’s real life is much more peaceful than his reel life. He loves being a husband and makes sure that he and Rachel renew their wedding vows each year. He’s also a devoted father to their two sons. His official Web site is danielgoddard.com. His wife Rachael has her own design company called Paint/Design/Decor, Inc. Her murals, artwork and interior have been featured in Lifetime's MERGE, EXTREME MAKEOVER: HOME EDITION and MOVIN' IN. Was a bartender in real life before joining Y&R as bartender Cane — and displayed some of his skills on-screen while pouring drinks. Enjoys anything having to do with math or engineering and architecture.